After all is said and done life is your chance to be, to grow, to experience the things that make you mortal. In doing so you create the memories that you will reflect upon and hold dear throughout eternity. So choose wisely what you will experience and what you decide to remember, for these memories will be with you always, and can become with time your own heaven or hell. The paths you chose will make you who you are, and influence whom you are becoming. There are endless opportunities for change and to alter your course or path through life. A seconds split decision can change the course of your life completely, forever. It is also true, you are what you think you are, and you become what you believe and desire you will become. Life is sometimes called an illusion, a swift-fleeting moment in eternity; when your spirit dances with time. It is what you think that makes you what you are. Always guard against your thoughts running wild and keep control over what you are thinking. You are Your thoughts. The beliefs you hold strongly in your mind will become your dreams and in time become your reality. So always guard your beliefs and hold them dear to you. It is those special places in your life that will bring you a feeling of security, peace, and tranquility. Whenever you feel uncertain, lost, and out of sync just go to your special place to find yourself. Always believe in the magic of life, being true to your beliefs at all times - never ever compromise in what your beliefs are and what you truly believe in. It is the people in your life, your family, friends, acquaintances, strangers, the ones you have yet to meet that make your life worth living. Given the chance, they will bring love, light, joy, happiness, and peace into your life. Always believe in the magic of life. Dreams are your subconscious mind's desires. All your memories are what made you what you are today. You should control your thoughts, if they are left to run free they may create a reality you don't want. Through life you are continually at the crossroads with choices for how to proceed in life, you even have the ultimate choice of whether to decide or not. 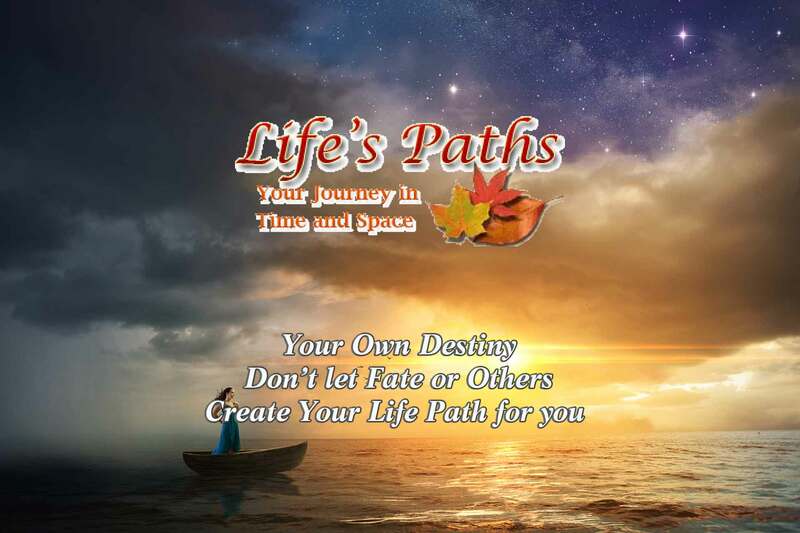 Destiny becomes the accumulation of the choices of which paths you took in life. Life can be likened to a long and winding road; it is also a garden where it becomes possible to grow and bloom.